I woke up in the middle of the night with a bad headache and severe sinus drainage. So, I dragged myself out of bed, into the kitchen, grabbed some aspirin and antihistamine out of the pantry, and downed both with a large glass of water. I then sat down on the couch in the living room to wait for the meds to do their thing. After waiting about 15 minutes, with no sign of impending relief for either my headache or sinus drainage, I decided to turn on the television and watch with no sound. At least I wouldn’t disturb my sleeping wife and sons. All I found on the regular TV channels was extremely non-interesting infomercials. Back then, in the early 90s, that’s the way television was. I decided to take a quick look at the Spanish-language channels to see if I might find something interesting to watch. In times past, I had received much enjoyment from the program "Sensacionalismo." The acts on the show were mostly visual, so you didn’t particularly need sound to enjoy watching. However, instead of encountering "Sensacionalismo," a strange looking bearded man, wearing a hat and glasses, immediately greeted me on the television. He looked like he was singing while doing crazy hand movements and gyrations. In the wide shot that followed, I discovered that he was not the only person doing crazy hand movements. There were two young ladies behind him matching his movements. For some strange reason, those young ladies immediately reminded me of Michelle and Cass of The Mamas and Papas. I couldn’t stand it. I had to hear the song. I got near the TV and slowly turned up the sound just as the song was ending. All I heard over and over again was "atento al lobo." Next, came a fade to black and a bunch of commercials. I hoped that when the commercials ended I would find out who had been singing. When I awoke the next morning, I wasn’t at all sure that what I had seen the night before was not something just in my imagination created from what I had taken for my sinus drainage. A couple of weeks later, as I headed home from work on a Friday, I hit the scan button on my vehicle radio. It stopped on KSAH 720. Then I heard it, just as it faded, "attento al lobo." I was flabbergasted! What I had seen and heard was actually real! Again I waited in high hopes that the DJ would tell me who had just sung the song. Just like on TV, what did I hear next? A commercial! Nobody told me what I had just heard. Needless to say...I was very disappointed! This was way before I (and most other people) could afford a cell phone. So, when I got home I looked up the KSAH request line. I called and called the number, but all I got was either a busy signal or a ring with no answer. I also attempted to call the main office number, but a recorded message informed me the office was closed. I decided to call the KSAH office number on Monday. 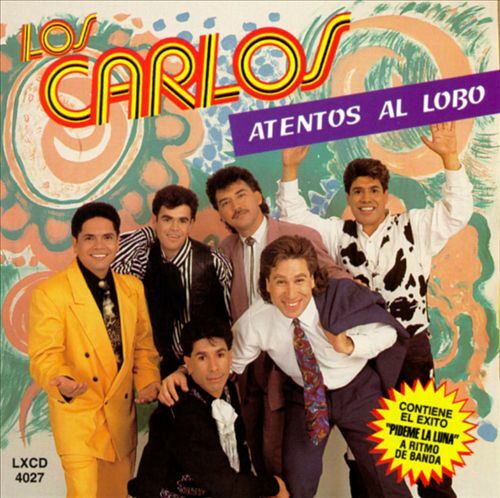 All weekend, "atento al lobo" ran through my mind. I could hardly wait until Monday. Due to a work priority, I didn’t get a chance to call the KSAH offices until late Monday afternoon. Neither the young lady who answered the phone, nor anyone she talked to, had any idea about a song named Atento Al Lobo–or any song containing such lyrics. My hopes were dashed. A couple of days later, I realized that I knew a number of people who were in Spanish-language radio. So, I called them. None had any idea what I was talking about, either. 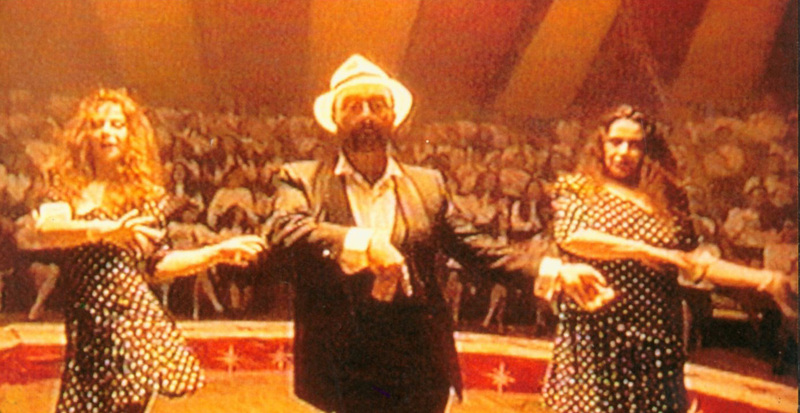 Over the years, my memory of the strange man singing “atento al lobo” faded from my consciousness. I was in a used bookstore looking for a book. Since I had time, I decided to browse through the used music CDs. The young men in the photo on the front of the CD sure didn’t look like the guy with the glasses, beard and hat I remembered from TV. I turned the CD over to look at the tracks listing. Right there, listed as track number one was: Atento Al Lobo. I bought the CD and immediately headed to my vehicle. I couldn’t wait to see if my find, in any way, related to what I had heard and seen more than a decade before. I inserted the CD into the player in my vehicle and anxiously waited for the first track to start. I had to wait a while, but finally in the song I heard it...Just like I that night so long ago: Atento Al Lobo. I noticed that Lucio Dalla had written the song. So, I did some internet searching. I quickly found that it was him that I had seen late that night on TV. I also found multiple YouTube videos that allowed me to, once again, see all the hand movements and gyrations I had witnessed late in the night. Indeed, it wasn't just part of my imagination induced by antihistamines but actually...real. Copyright 2013 by SanAntonioRadioMemories.com – All Rights Reserved.